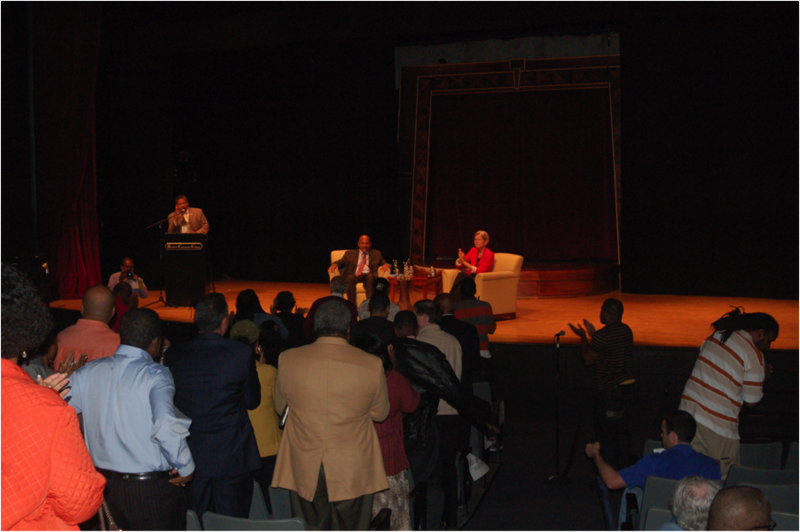 Last night, Elizabeth took the stage at Roxbury Community College to attend a forum hosted by the New England Area Conference of the NAACP. Also hosting the event was the Black Ministerial Alliance, Community Change, Dudley Street Neighborhood Initiative, Fair Housing Center of Greater Boston, Madison Park Development Corp., Mass. Association of Minority Law Enforcement Officers, Mass Vote, and Oiste. Answering questions from Professor James Jennings of Tufts University and members of the audience, Elizabeth addressed issues from guns to education, and from poverty to foreign policy. Scott Brown declined an invitation to speak at the forum.